I taught in the primary grades for fifteen years. In general, primary grade teachers are all literacy leaders. Teaching students to read and write are top priorities every day in their classrooms. That importance doesn’t go away, however, just because kids get older. Most students are successful as independent readers and writers by the time they get to middle school, but do they know how to read and write in each content area? Are they still allowed to choose books/magazines/articles that appeal to them? Are they encouraged to read text at their instructional level? Are they given time to read for pleasure during the school day? These are not relegated to elementary schools. They need to be carried on as students progress through middle and high school if we want to create people who are not only successful readers and writers but people who enjoy reading and writing. Fortunately for me, I have always loved to read, and a bonus is that I really enjoy teaching writing. I took my elementary teacher mindset with me when I became a district curriculum director. I was disheartened when I was told by multiple secondary teachers that teaching students how to read was not their job. How can that even be a thought? If your student can’t read and comprehend the materials you are using in your instruction, then how is that not your job to teach them those skills as well? And so, I became a champion for teaching reading skills in the content areas for secondary students. There are certain things that educators need, however, to be literacy leaders. They need a vision of why teaching literacy strategies to their students is vitally important (regardless of the age or subject that they teach). This vision should be embraced at the highest level of educators in the district. Expectations surrounding the vision need to be clearly, and continuously communicated with all teachers. They need ongoing training on how to best teach these strategies. In defense of my secondary-teaching friends, the majority of them have never been taught how to teach reading. We can’t expect them to be literacy leaders if we don’t equip them with the knowledge and tools to succeed. Districts with a vision for literacy leadership must be willing to invest time and money in providing top-notch professional development for teachers of all subjects and grade levels. They and their students need access to varied reading materials. Books, magazines, newspapers – digital, hard copy – it doesn’t matter. 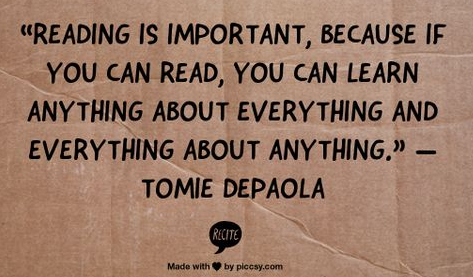 What matters is that students have access to all genres, at all reading levels. They need to encourage student choice in what they read and write about. I’ve had students tell me that their “pleasure” books had to be approved by their English teacher. That same student loved reading graphic novels, but they didn’t meet the “requirements” in this teacher’s mind of what quality reading material looked like. Guess what impact that had? Negative impact. I don’t have anyone approving of my book choices for pleasure reading, so why do we feel the need to dictate what students read in their “choice” time? If a student wants to read Field and Stream magazine, then by all means, let them. We are encouraging reading for enjoyment. 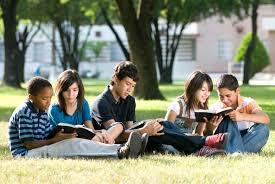 And the hidden bonus is that these kids are increasing their reading and comprehension skills at the same time. Give students some freedom and see what happens. So the responsibility of being literacy leaders falls on every educator. Administrators need to provide the vision, resources, and training for teachers. Teachers need to provide high-quality, intentional instruction and encouragement. Together they can help students feel confident in their reading and writing abilities, and leave high school on the road to being literacy leaders themselves.